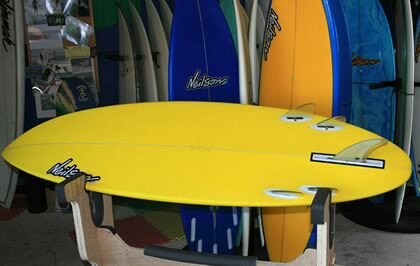 Lok Box runners with a center box with 6.5″ Bonzer center fin. From 11 Am till 2 pm or later…. Hot dogs/ Burgers/etc…. a few veggies burgers too! Heck maybe order a custom shape at a Saturday special price!!! There is only a small extra charge to have your surfboard airbrushed to clash horribly with your work scrubs. Just a small part of the customer service experience here at the Neilson Surf Shop. The big “16” for Tommy Evans! Happy Birthday from all the Neilson crew!